A book to inspire Catholics of all ages and to inform non-Catholics of the impressive gallery of England's Catholic heroes. 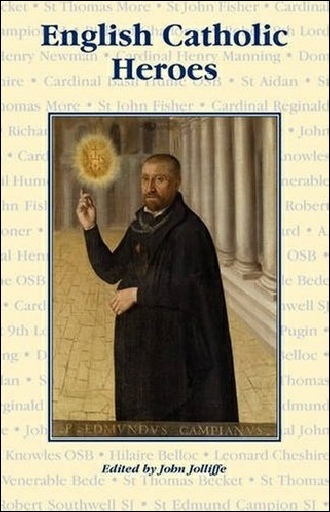 A strong team of authors, including Clare Asquith, Abbot Aidan Bellenger, Robert Gray, Archbishop Vincent Nichols and A. N. Wilson have selected their heroes from many centuries from St. Aidan and the Venerable Bede to St. Robert Southwell, St. Edmund Campion, Cardinals Hume, Manning, Newman and Pole, Hilaire Belloc, St. Thomas Becket, Augustus Welby Pugin and many more. 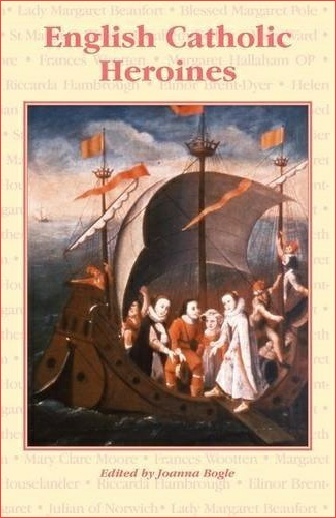 In this book a group of distinguished authors with varying interests champion the achievements of twenty-three seminal figures in the history of the English Church, from the seventh century to the present day, who through their Catholic witness have made a contribution to the spiritual, intellectual, ethical and physical welfare of the nation which can be fairly described as "heroic". Includes chapters on: St. Hilda and St. Etheldreda, Julian of Norwich, St. Margaret Clitherow, M. Elizabeth Hayes, and Elinor Brent-Dyer.